The shrinking of metal parts is a common method to connect two metal components. Here, the receiving component is heated causing expansion. The second piece can now be connected with the heated component (for example: rings, sleeves, shafts). After the parts are mated, the temperature of the warmed component is reduced and it returns back to its original size. The result is a very strong bond. Induction heating is an efficient way to fit metal parts together. Precision parts manufacturing is easily accomplished when utilizing this method. 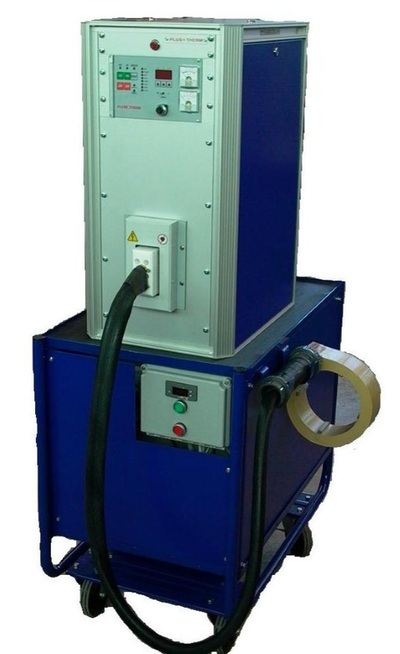 Plustherm induction systems for shrink-fitting can be used for laboratory and experimental purposes as well as production lines. 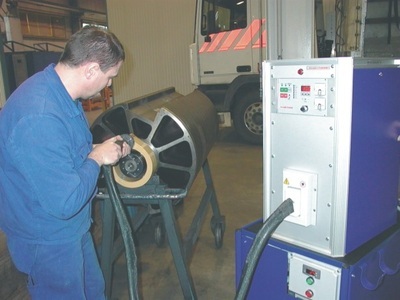 Depending on the work-pieces, the heaters have an output capacity of 5-200kW. We solve all of your inductive heating problems and provide customized solutions for each.